By learning how to stop global warming and making changes in your daily life, you can reduce your carbon footprint and help the environment. 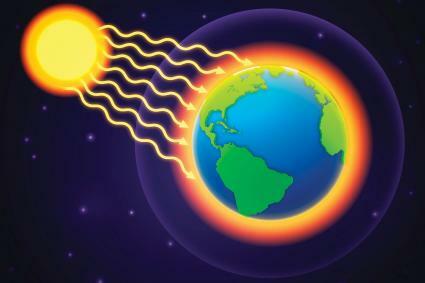 The term global warming describes the average increase in the planet's temperature. Global warming occurs when greenhouse gases, such as carbon dioxide and methane, trap heat from the sun inside the atmosphere. This trapped heat increases the temperature of the planet, endangering plants, animals, and humans. While it may seem impossible for one individual or family to directly affect global warming, your daily actions have a significant effect on the health of the planet. By following the below tips, and teaching your children and loved ones how to stop global warming, you can reduce your energy usage and help save the planet. The best place to start reducing your carbon footprint is right inside your home. Switch to compact fluorescent bulbs. Run your dishwasher only when it is completely full to save energy, water, and money. Adjust the thermostat in your home to save energy. Move the thermostat down two degrees in the winter and up two degrees during the summer months. 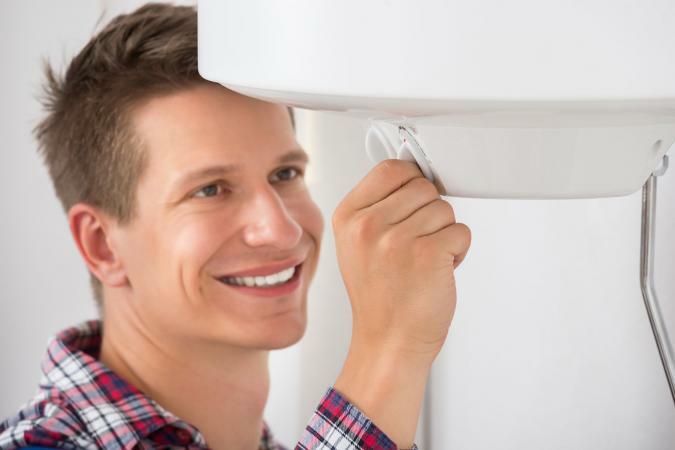 Lower the temperature on your water heater. Not only will this save energy, it will prolong the life of your clothes. Change the filter in your home AC unit as recommended by the manufacturer to save money and prolong the life of your unit. Spend less time in the shower. Showers account for two-thirds of home water heating costs. Install an energy efficient showerhead to conserve water and save energy. Replace outdated appliances with energy-efficient models. Weatherize your home to reduce heating and cooling costs and associated energy usage. Unplug computers, televisions, and other electronics before leaving the house or going to bed at night. Put on extra clothing and take a heavy blanket to bed instead of turning up the heat during the winter months. Evaluate the wall and ceiling insulation in your home to see if improvements are possible. Dry your clothing on the line instead of relying on your clothes dryer to save money and energy. Upgrade your water heater to an energy-efficient or tankless model to preventing heating unnecessary water. Become a vegetarian or limit the amount of meat in your diet. Meat and dairy contribute to greenhouse gas emissions and global warming. You can also make green choices when shopping, driving, and spending time outside of your home. Buy products made of 100 percent post consumer recycled paper. Inflate your tires to the proper level and check them monthly for signs of wear. Change the air filter in your car every month to reduce your car's carbon emissions. Buy food and other products locally to cut down on fuel consumption and support local farmers and manufacturers. Purchase energy certificates to help support the renewable energy market. Choose minimally packaged goods to reduce waste, and complain to companies who use excessive packaging. Buy and use a hybrid car or fuel-efficient vehicle to reduce pollution and dependence on fossil fuels. Carpool, ride a bike, or use public transportation to save fuel and reduce carbon emissions. Turn off your engine instead of letting it idle to save fuel and money and reduce pollution. Avoid the temptation to purchase disposable products that contribute to landfill crowding. Plant a tree to reduce carbon dioxide in the environment and replace trees lost to deforestation. Use a push mower instead of a gasoline-powered machine when mowing your lawn. Buy organic foods instead of those grown with the use of polluting chemicals. Bring your own reusable bags when you go shopping to reduce plastic and paper waste and conserve energy. Increase awareness of global warming in your community by living green and encouraging others to do the same. If you are interested in additional ideas on how to stop global warming, you can visit the websites below for more information. Conserve Energy Future offers 35 ways to stop global warming. The National Geographic website contains an abundance of information on many global warming topics, including deforestation, biofuels, toxic waste, and air pollution. The National Resources Defense Council offers detailed information on pollution, climate change, weather, and energy.